← Don’t tell me mum! This has shown me how disconnected memory can be. David found this photo, and very specifically dates in as 12th September, 1982. I can remember it being reported on Beacon Radio as a mine collapse, fairly sure it was a Monday, because I wanted to go look but it was a school day. I remember walking down here with the canal drained on a snowy, grey winter’s day, so it was clearly dry for a long time after. Picture courtesy David Hodgkinson. 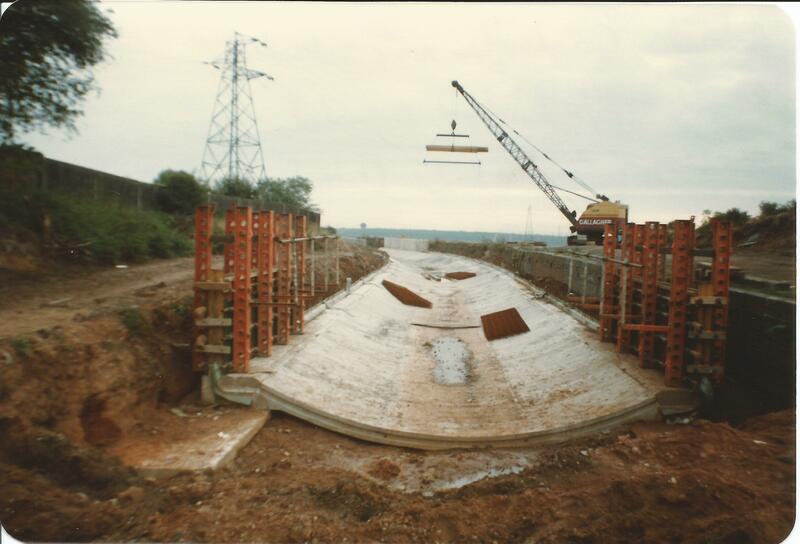 Yesterday, in a post relating some recollections of the Chasewater modern overflow culvert, an anonymous correspondent suggested that the new system had been constructed in response to a serious subsidence issue near Anchor Bridge. In that post, I rather cheekily yanked the chain of David Hodgkinson, top bloke and long time local historian and webmaster of the parish. I knew that David had good recollections of the collapse, from comments on his own excellent site, but today, David has excelled himself. Digging through his archives, David has located a series of photos and a sketch made after the incident, and some later during the reparations. He is also able to date the occurrence to sometime around the 12th September 1982 – almost 30 years ago. That any material from this work survives is remarkable, let alone this veritable treasure trove. Readers of this blog and my fellow Brownhillians never cease to amaze me. All I remember of the incident was hearing reports on Beacon Radio’s lunchtime show, when home from school for dinner, saying a mine collapse had happened and the canal had burst onto farmland. I wanted to go and look, but had to go back to school. I remember that evening, it was light (so not in the winter as I falsely recalled) and men in waders were collecting floundering fish from the mud of the canal near the Anchor bridge. I’d never seen so many fish. I think, to be honest, they were being taken illegally, as they were loaded into vans. I also remember crayfish struggling in the black mud. I recall walking past the works on a winters snowy day sometime – must have been winter of 82-83, and the work was still ongoing. 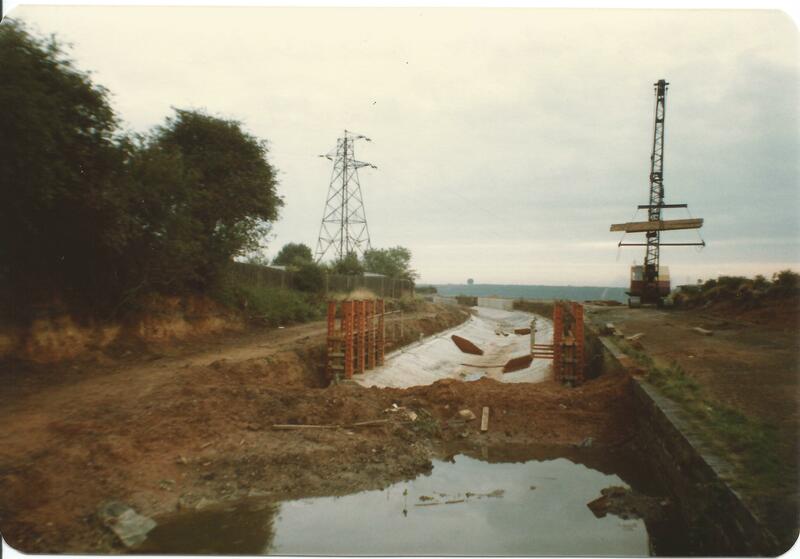 You can, of course, still see the length of rebuilt canal – it narrows slightly and has different bank construction. I can now see a further reason for the creation of the new storm drain at Chasewater – it may have been to reduce incidental load on the canal. It’s possible, I guess, that if Chasewater had recently overflowed, that the existing overflow system on the canal itself into the Crane Brook had not been able to dissipate the surge quickly, and caused loading further down. I have no evidence for this, it’s pure speculation. 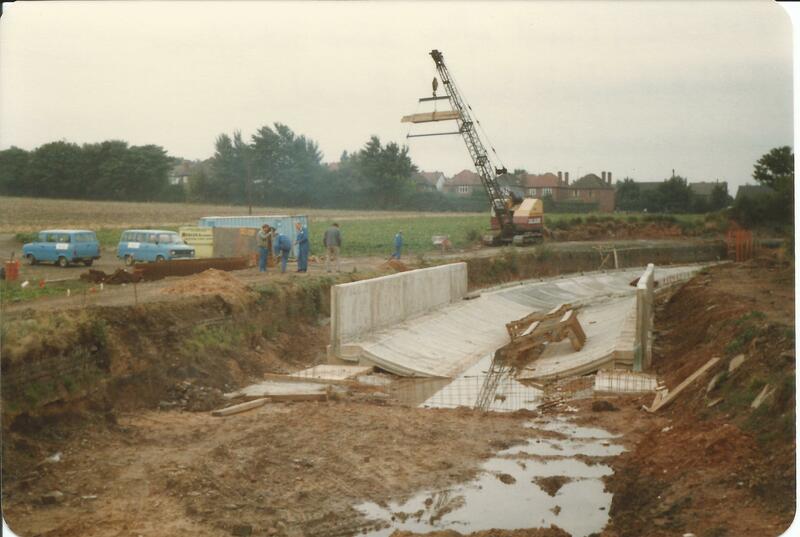 I have found a few photos of the rebuilding of the canal after the leak. These were taken August 1983. There were three or four actual cave-ins covering both sides of the canal, in a line crossing at an angle. I thought that the problem was put down to mine workings but can’t remember any more at the moment. I may have some cuttings from the local papers of the time if I can find them. I have done some scans of the prints from a not very good 35MM camera (I thought it was wonderful at the time but looking back cheap camera and cheap processing equals fuzzy results). I have scanned at 600dpi. I say, that old Mom/Mum question is a linguistic nightmare. Prepare for comment incoming! I have found the photo taken on 12 September 1982 that would have been soon after the breach occurred. I have not found a picture of any of the other nearby collapses. Taken with a Kodak 126 Film Instamatic so square photo. 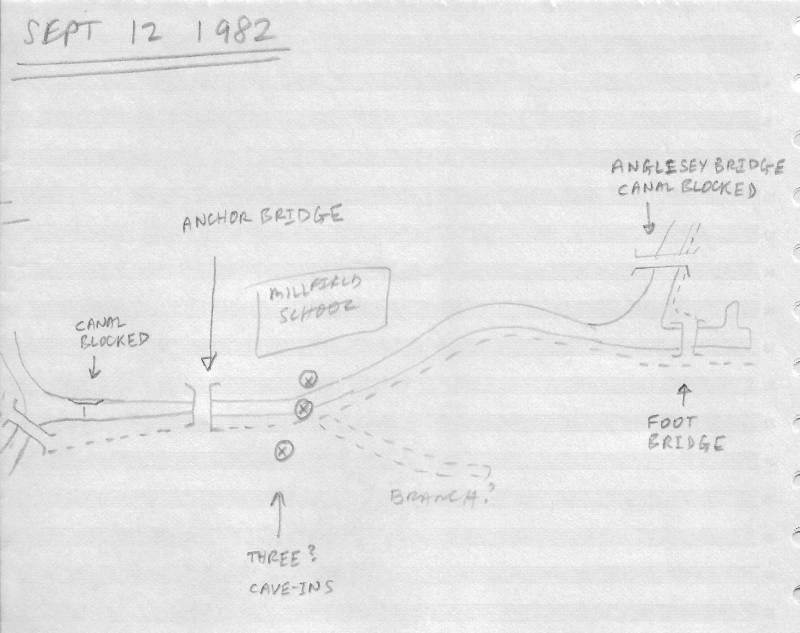 Remarkably, David also found this sketch of the layout of the breaches and sinks. People never cease to astound – for me, this was all a hazy memory. Original sketch by David Hodgkinson. I have found my note from 12 Sept 1982. At the time I marked three cave-ins as shown on the sketch. One at the back of the school field, one on the towpath and one in the farmland beyond. 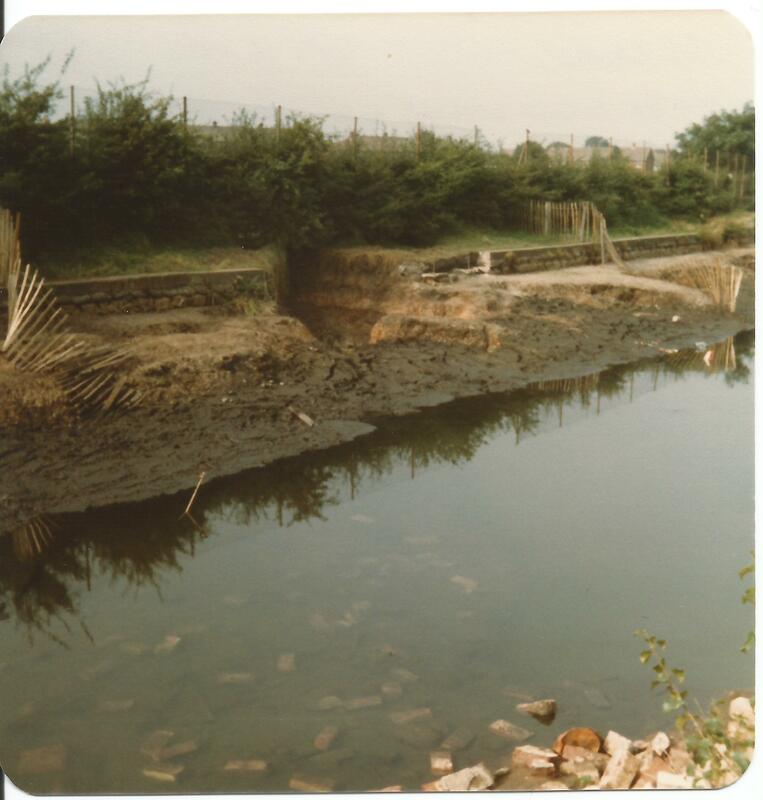 From the photos it looks as if the canal was being pumped out just before the junction with the Rushall branch and although blocked at Lichfield Road (Anglesey Bridge) was in low water all the way back to Chasewater. Yet again I can’t remember the exact details. I think in court it’s called “Not A Credible Witness”! David, I can assure you, you’re a wonderful witness, and thanks for adding so much history to the blog. Cheers, you’ll always have a beer in with me, old chap. It was clearly still late summer when these pictures were taken. Up the bank to the right would be the old Anchor Inn. Picture kindly supplied by David Hodgkinson. This is the narrows at the back of Chandler’s Keep – then a plant hire yard and auto repair business. The canal was dammed here by dumping a pile of clay as a dam. Again, I think site safety would have something to say about that today. For many, it’ll bring back memories of just how grim that bit of the cut was back then. Picture kindly supplied by David Hodgkinson. 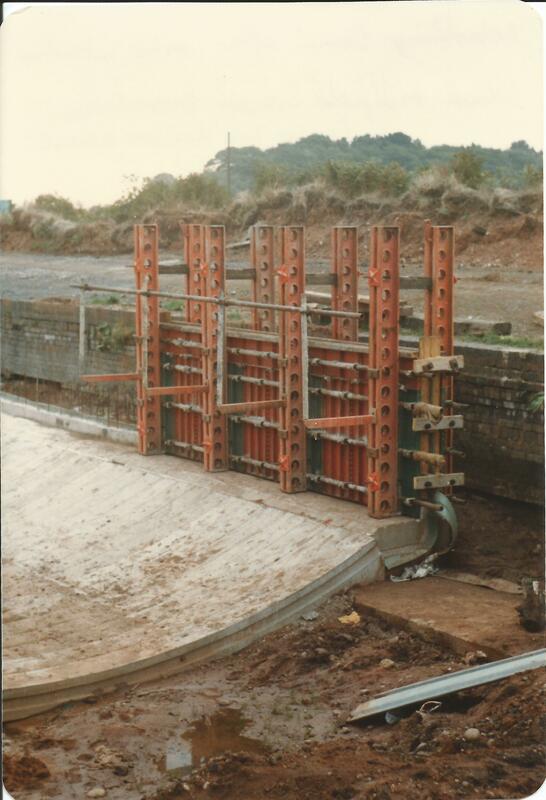 This is Qwikform shuttering, as produced up the canal in Aldrdge at RMD. Note the old bank and remains of Brawn’s Wood on Lanes Farm in the distance.Picture kindly scanned by David Hodgkinson. This was some project, and must have been planned and executed on the hoof. Costly, too, I’d wager, in a time of little public funding. Image donated by David Hodgkinson. A less successful dam near Anglesey Bridge. Some vies never change. Picture supplied by David Hodgkinson. David seems to have had fairly open access to the worksite – how different to how it would be today. Those vehicles bring back some memories. Another great capture by David Hodgkinson. 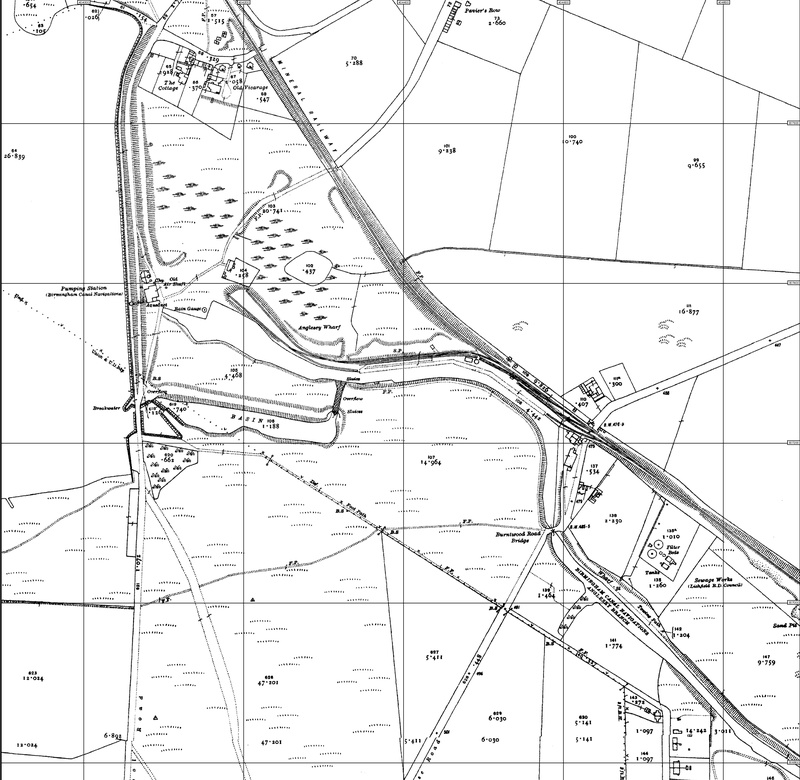 For those confused about the electricity pylon, we had a line of these run over what is now Clayhanger Common, next to the flats and over the fields to Lichfield. 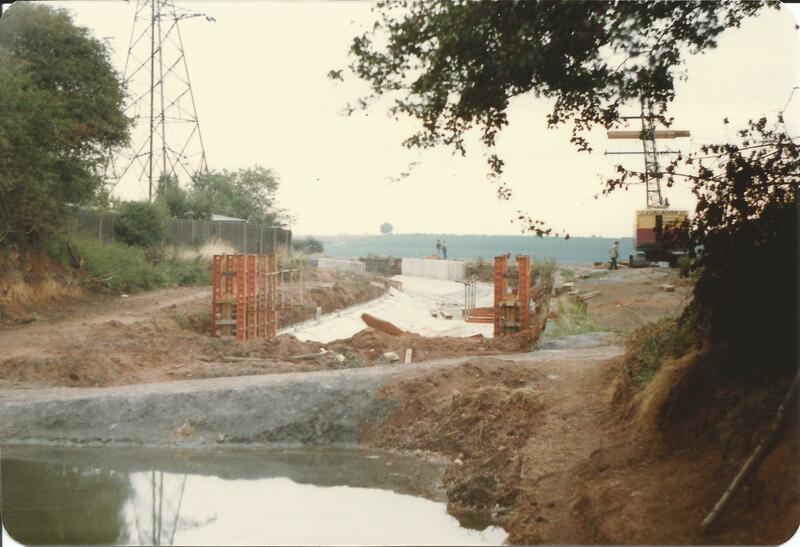 They were rendered redundant, along with a large substation in Clayhanger, by the installation of new underground cables in North Walsall, and a new distribution compound in Cartbridge Lane South. The pylons were subsequently removed. Picture donated by David Hodgkinson. This entry was posted in Bad Science, Brownhills stuff, Chasewater, Environment, Events, Followups, Fun stuff to see and do, Interesting photos, Local Blogs, Local History, Local media, News, Reader enquiries, Shared media, Shared memories, Social Media, Spotted whilst browsing the web, Walsall community and tagged Anchor Bridge, Anglesey Branch, Brawns Wood, Brownhills, Brownhills local history, Brownhills Past, Canal, canal breach, Canal Leak, canal repair, Chasewater, Chasewater Dam, Chasewater history, Chasewater Wildlife Group, culvert, Cycle rides, cycling, David Hodgkinson, Lane's Farm, local blogs, Local History, Milfield School, New Photos, Old maps, Repair, Reservoir, Staffordshire, Subsidence. Bookmark the permalink. Hi Bob, some great stuff there from David. His Sketch may be dated 12th September, however the breach happened in Early july as i posted in your recent Chasewater post. 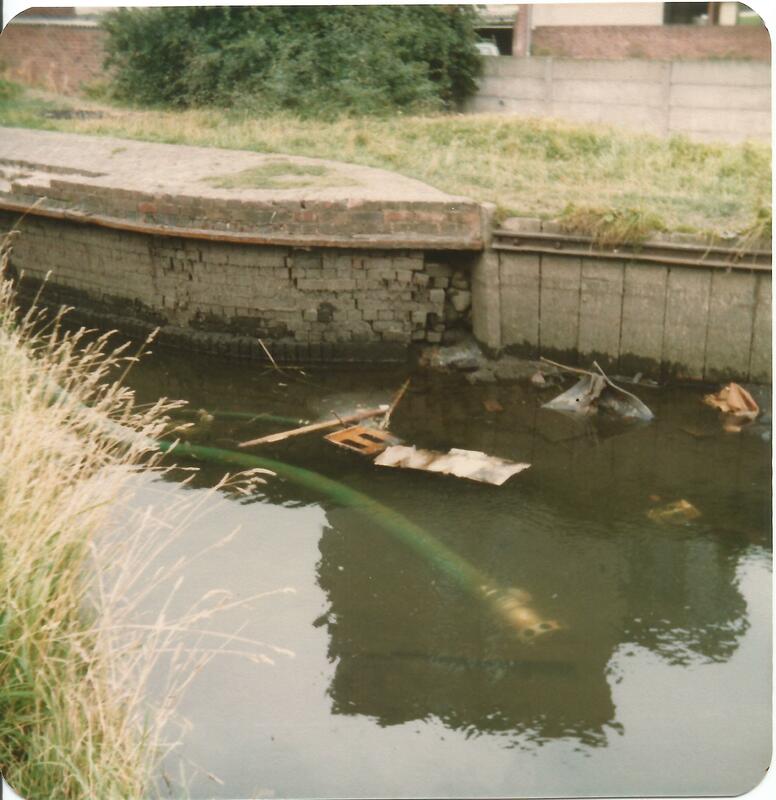 i spoke to my MUM yesterday evening asking if she could remember exactly when it was that i had discovered the holes in the canal bank. I know for a fact i missed my exams (always before the summer holiday) with a broken leg. i also had it confirmed by mum that i went on holiday with plaster on my leg at the end of July. this therefore gives me a early July date for the breach. The guys removing the fish did not do it for a good few weeks after the water escaped. They were in fact from the seven Trent. 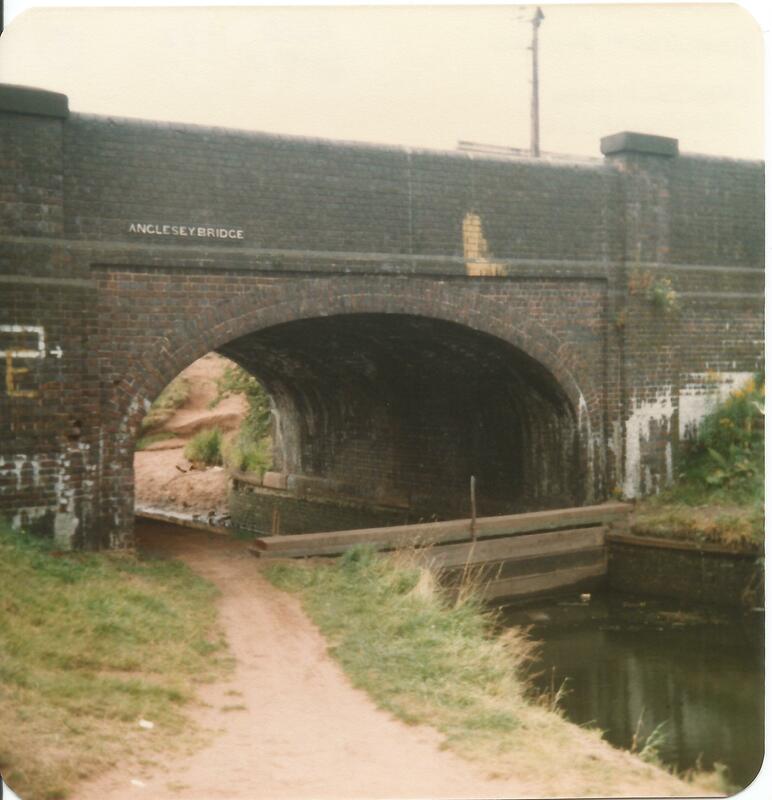 i Remember following them down the canal from the holes behind the school back towards the lock at the back of Bailey house. they were using long poles with a electrically charged wire in them. The fish were stunned then netted and put into big white buckets. i can vividly remember the one guy fell over while netting, and the guy with the stunner did not remove it from the water quick enough. This resulted in the poor guy who fell getting stunned! I can’t for the life of me remember where they put them back though? [I was born in 1949 in Brownhills to a “working class” family and have always used “Mom”. I don’t know if any or all of that is a factor or if it is just chance that my family have used that spelling]. As for the date, my “soon after” was used in a rather lax and confusing way. I did not intend to contradict your dating of the incident. I can’t speak for the date: all I know is it must have been durning BST as I remember going down on a light evening. As to the fish – the guys I saw weren’t official, and there wasn’t enough water to justify electric stunning. The stranded fish were literally slapping, struggling in the mud. The chaps were just collecting them by hand. The water itself at Anchor Bridge couldn’t have been more than about a foot deep. That’s not to say someone didn’t come along later, of course. At the time I think the priority was just to get the water out. I will endeavour to find newspaper reports of the incident, and see. Hopefully the Local History Centre will have papers of the period. Great photos. I’d always assumed the section of new bank was due to the Sandhills branch being abandoned, not because of a breach. Great, thats a faded memory brought back to 2012. well done Bob and David and not forgeting Warren. During last year the Chasetown Drainage System has been completely re-modelled…the old main sewer which formerly carried storm water and house drainage is now only used for the former, which it carries into the Crane Brook, the old filter beds being filled up. All drains, other than storm water, have been connected up to the new sewers.The sewage thus collected is chemically treated depositing sludge in a precipitation tank, designed by Ives of Derby, of the Dortmund type. The effluent from the tank is then made to irrigate about four and a half acres of land that have been specially levelled and prepared. The sludge is pumped out daily and is highly recommended for manure. The effluent since Dec 1898 has been of satisfactory purity and ultimately runs into Crane Brook. The new system appears to be working well. It is capable of dealing with 50 000 gallons per day of 24 hours, and since the present flow averages about one third of that quantity affords accommodation for future developments. I’m sure I don’t need to tell you how to read a map, but it’s due east on the north side of the canal, and yes, that’s the Crane Brook. There’s no trace I’m aware of that’s still extant. So there you go. Cheers, as ever, for your wonderful input. There was also a breach in 1985 that lasted a while too.